Well, after the winter that would never end, it appears that the 2014 riding season has begun. It's time to wake myself from winter hibernation and get to work. I'm already a few ride reports and videos behind. 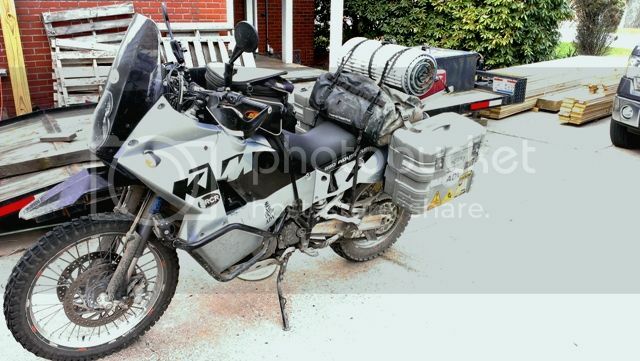 I spent the winter months prepping the KTM 950 for my trip out west in July. I still have a few more bits to finish, but it's almost ready. In a couple of weeks I'll be riding it down to Laurel Fork with all the camping gear strapped on as a shake-down. I'll try to go back and add hyperlinks to this post as I complete these.